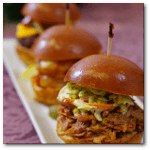 Our Hackensack Catering company provides quality food and competitive prices and has made us the premiere caterers in Bergen County New Jersey for any event. Corporate Events and Parties are our specialty. Our full-service catering staff is available for business events, private parties, destination events and more. Our prime location near the Meadowlands gives us the flexibility to accommodate any event at any time. We offer great package deals for small parties or large corporate events. Get in touch with our office today and find out how easy we can make it to get quality Hackensack catering services. In 1986, two brothers, Richard and John Donato started Simply Delicious Catering in a small office with a modest staff. Today, having catered thousands of events and with a staff of over fifty, they are proud to offer the very best catering services available. We have an outstanding reputation among both our peers and customers. Whether it is a small dinner party or a very large corporate event, we strive for customer satisfaction and attention to detail. With extensive experience in the catering industry we understand the ins and outs of hosting everything from a simple luncheon to a comprehensive dinner engagement. We offer amazing menu choices and knowledgeable event staff so you know your guests will be treated properly and enjoy your food choices. Please contact us today and book your next dinner party or company event with Simply Delicious Catering. 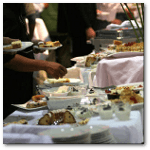 Planning an event in Hackensack you’d like catered? If you have a full day of events, and need catering for all of them, no problem! You can get breakfasts, lunches, dinners, mid-morning snacks, afternoon snacks, and dessert catering. Popular items also include boxed lunches, wraps, sandwiches, salads, soups, and much more.Not sure where to begin? 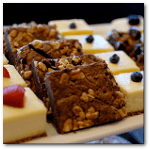 Our Hackensack catering professionals are ready to assist you, and guide you through the process so you can avoid the most common and costly mistakes. Choose from creative catering options that will make a lasting impression on all of your guests. You have access to all kinds of choices for all kinds of situations when choosing Simply Delicious Catering. Whether you want gourmet or simple, casual or formal, to serve family, friends, or clients we offer endless possibilities.